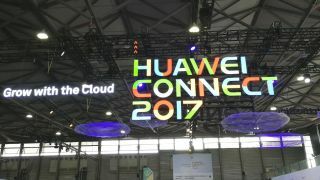 HUAWEI CONNECT 2017 - Expanded partnership will also see Microsoft applications released on Huawei Cloud for the first time. Huawei has revealed a new tie-up with Microsoft as it looks to improve the world of public cloud. At the Huawei Connect 2017 event in Shanghai today, the Chinese giant has confirmed it will expanding its partnership with Microsoft to allow the latter's enterprise apps to come to Huawei Cloud. The deal means that more Microsoft services will be available to businesses utilising Huawei Cloud, and will mean the companies will now work together to develop and create new public cloud offerings going forward. "Adhering to a customer-centred philosophy, Huawei is dedicated to enabling and promoting the development of a smart society," said Zheng Yelai, president of Huawei’s cloud BU and IT product line. "As a world-leading provider of software, services, and solutions, Microsoft has played an important part in the enterprise market all along. Huawei Cloud looks forward to cooperating with Microsoft to build an open and win-win ecosystem." Microsoft and Huawei have been cloud collaboration partners for some time, with Huawei Cloud already offering services including Windows Server and RDS for SQL Server, however today's announcement will greatly boost this. “The fourth industrial revolution, driven by technology innovation, is creating opportunities for customers to achieve more across nearly every industry," said Alain Crozier, CEO of Microsoft China.